Space Tango has announced ST-42, a fully autonomous, robotic, orbital platform designed specifically for scalable manufacturing in space. Launching in the mid 2020s, ST-42 aims to harness the unique environment of microgravity to produce high value products across industries; from patient therapeutics to advanced technology products that have the potential to revolutionize industries here on Earth. ST-42 is an extension of the International Space Station’s (ISS) capabilities, and NASA’s creation of a robust commercial marketplace in LEO. Artistic rendition of Space Tango's ST-42 spacecraft. 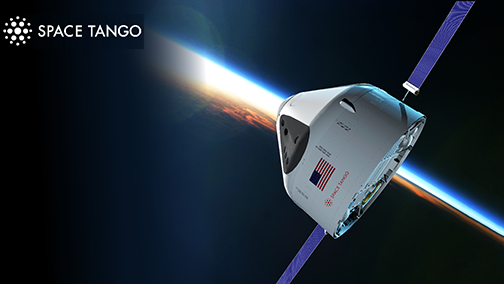 Twyman Clements, President and CEO of Space Tango, said that with the company's product line on the ISS, Space Tango has started to pinpoint the applications and understand the unit economics of building high value products in microgravity for Earth. This platform is the logical extension of that work and will create a new category of capabilities for LEO commercialization in the space economy. The company's experienced team has crafted a vision for the future of manufacturing in space as well as the procedures, partnerships and tangible plans for executing ST-42.